Nigel Hess is a multifaceted composer and conductor active mainly in the area of music for films, television and the theatre. He studied music at Cambridge University, where he was Music Director of the Footlights Revue; from 1981-5 he served in the same role for the Royal Shakespeare Company, writing music for over twenty productions. His subsequent career includes music for many major films and television dramas, together with a growing catalogue of concert music. 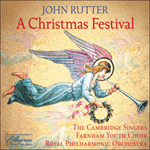 His vivacious and colourful Christmas Overture, commissioned for the 2007 Christmas Festival, proved an instant success with audience and orchestra alike. 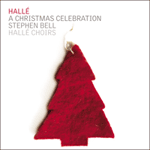 Traditional carols, skilfully juxtaposed and interwoven, provide the thematic material. They are, in order of their appearance: Ding dong! merrily on high, Deck the hall, Il est né le divin enfant (enchantingly scored for pastoral woodwind), Infant holy, infant lowly (lyrical cor anglais and violin solos), Personent hodie (a fanfare-like call to attention), We wish you a merry Christmas (a jovial fugue), and Angels, from the realms of glory which brings the overture to a majestic close. Fragments of other carols appear along the way to enrich the texture of what is surely one of the most attractive orchestral pieces yet written for the festive season.